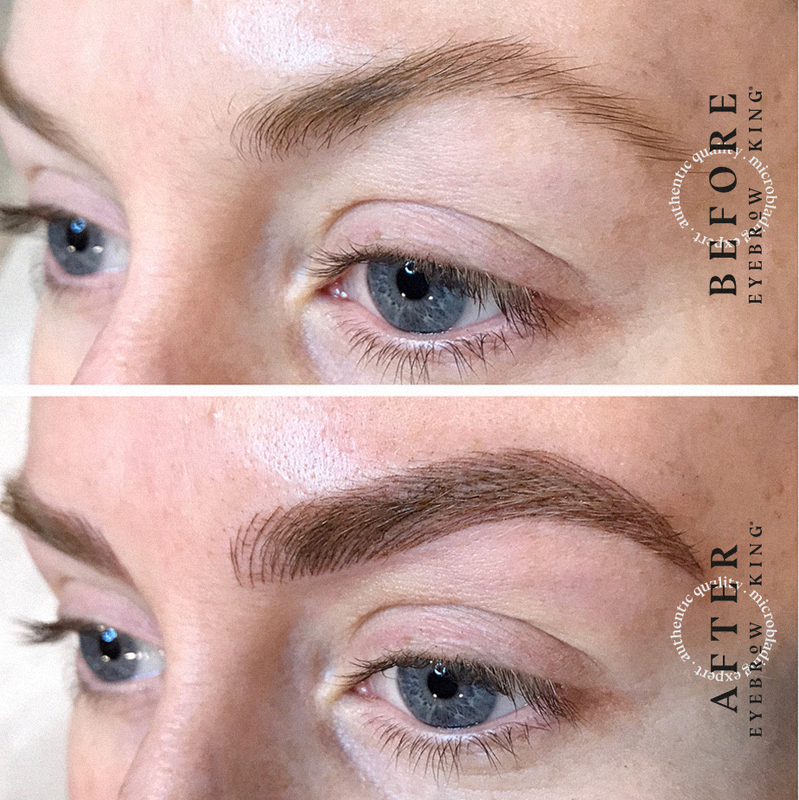 The procedure is called Microblading, it only reaches the upper layers of the skin. Customers report little to no pain. A topical anesthetic is used. It lasts about 12 to 18 months depending on the care and customer habits. The drawing is done in accordance to the person's natural eyebrow shape and color of skin and hair. It takes approximately an hour and a half to complete the procedure. - Improper care may result in fading of the eyebrows. - The pigment will appear very natural looking immediately after the procedure. The color of the pigment will become darker the next day. This is part of the healing process. - The entire healing process will take 21-45 days, depending on your body and age. Your new eyebrows will go through several phases during the healing cycle. The final look of your eyebrows will be apparent approximately 30 days after your procedure. - If you have any unexpected problems with the healing of the skin, please contact Eyebrow King immediately, to discuss further instructions.